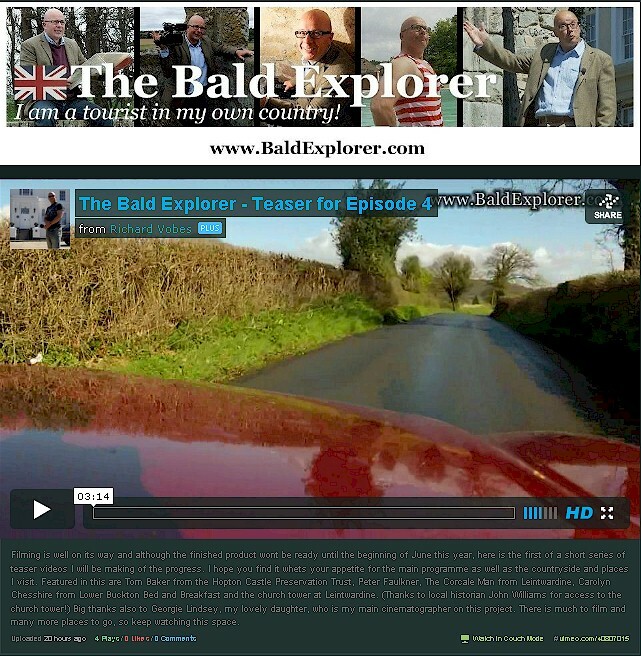 The video host Vimeo.com is now offering users to create their own channel and I thought it would be a great idea for the Bald Explorer to have one. It offers a clean and bright way to display and view the productions I make and keeps them all together in one place. The address is: https://vimeo.com/channels/thebaldexplorer and you can also comment on the videos you have watched. It is always nice to have some positive feedback. I have used Vimeo for many of my videos and if you click on my name I believe it will take you to the main Richard Vobes channel too where you can find other stuff too. Many of the videos I make such as The Battle of Lewes, History You Can Touch, the Coracle Man and my visit to Hopton Castle in south Shropshire is there.